An MPA proposed for an area off the Eastern Shore Islands is receiving push back from local lobster fishermen, despite DFO attempting to allay fears. Canada has committed to protect 10 percent of coastal and ocean waters by 2020. The proposed MPA would potentially allow lobster fishing as it does not affect the target protected species and habitat such as eel grass and cod habitat. Receive the reports and statements required by the Societies Act to be placed before the meeting. Elect directors if there is a vacancy. Transaction of such other business as may be properly brought before the meeting. If you have a proposal to bring before the association please send a notice of the matter at least 14 days before the date of the AGM (Feb 26). This notice will also be posted on the bctfa.com website. Please see the BCTFA constitution https://www.bctfa.com/projects/ for details concerning voting, proxy voting, quorum requirements and other details. If you have any questions please contact Tiare, tiare@leewardltd.com. Sustainability Survey for Canadian Fisheries for 2017 was recently released. “This year was tough for fishermen in northwest B.C., and while the stewards of the fishing industry hope that 2019 will bring improvements, they understand there are still many challenges to overcome. Cullen also said that the industry’s next generation of fishermen face more barriers than their predecessors. Citing owner-operator licences as an example, Cullen said changes could be made in policy that would help to level the playing field. “Pacific Islands fisheries leaders are satisfied with the outcomes of the just completed meeting of the Western and Central Pacific Fisheries Commission, or Tuna Commission, in Hawaii. ‘Tuna diplomacy’ is one of the game-changers for the Pacific. “Tuna has shaped regional politics and influenced the relationship between Pacific Islands States and major trading partners including China, Japan, United States and Taiwan and South Korea. Each year the Pacific comes together with these powerful fishing nations to set the fishing rules for more than half the world’s tuna, as well as other ocean-going species at risk of being caught by accident by the fishing industry. Diplomacy and solidarity among Pacific countries is key to Pacific success. The final amended version of the Recovery Strategy for the Northern and Southern Resident Killer Whales in Canada has been published on the SAR Public Registry . The amendment to this Recovery Strategy includes identification of two additional areas as critical habitat and provides additional clarification of the functions, features, and attributes for all critical habitat identified for Northern and Southern Resident Killer Whales (NRKW and SRKW). Under SARA, critical habitat must be legally protected within 180 days of being identified in a final recovery strategy or action plan and included in the Species at Risk Public Registry. The identified critical habitat in recovery strategy will prohibit the “destruction of any part of the identified critical habitat”. Activities “likely to result in the description of critical habitat” include "fishing for Chinook Salmon, Chum Salmon, and other important prey species, as well as activities that impact the survival and prey supply of these species such that they are not of sufficient abundance, quality, or availability for Resident Killer Whales”. 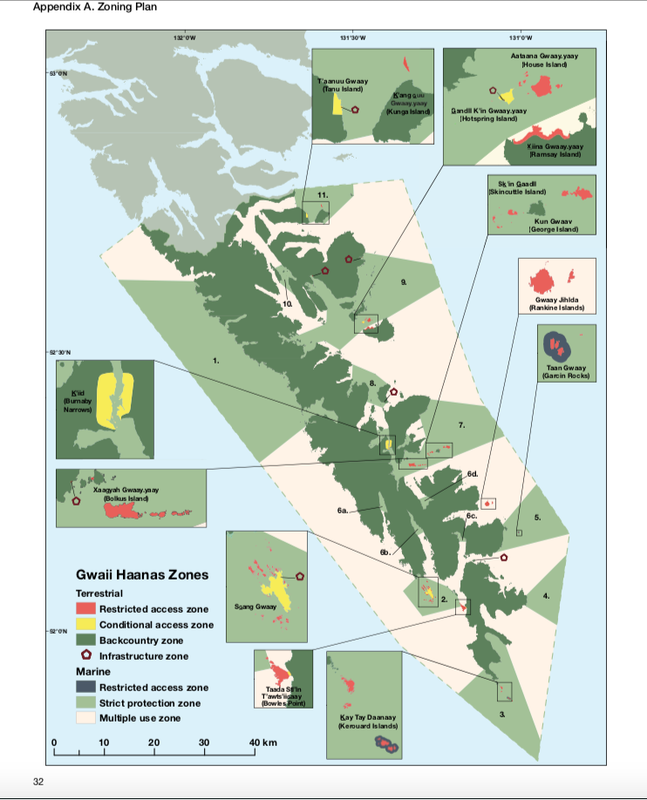 The management plan for Gwaii Haanas has been published. The Gwaii Haanas Archipelago Management Board (AMB) accepted most of the plan submitted by the fishing industry, which met or exceeded all of the cultural and ecological targets while reducing the impact on the fisheries operating in the area. That being said there was an annual loss of about $8 million in landed value from fisheries, which were impacted, and unfortunately for the tuna, fishing areas off the coast were closed to access. Annual Herring Sale for Kids with Cancer this Saturday December 1! The annual herring sale for kids with cancer has been held annually since 2011 with 100% of the profits going to kids being treated for cancer at the BC Children’s Hospital. Over the years the event has raised over $550,000 for the cause. Last year 35 ipads were bought to be distributed to each child for the duration of their stay on the oncology floor of the BC Children’s Hospital. A video game library and X-box switches have also been bought as well as vitamix blenders and smoothie mix to help with sick children’s diet.